Once more I was able to convince myself how criminal the capitalistic octopuses are. On a picture of our old and lamented comrade Stalin, I swore not to rest before these capitalistic octopuses are destroyed. Forty years after the death of Che Guevara, I thought it would be pertinent to reproduce this article by Cuban-American Trotskyist Samuel Farber, which appeared in New Politics soon after the 30th anniversary of Guevara's demise. THIRTY YEARS AFTER HIS SUMMARY EXECUTION BY THE BOLIVIAN ARMY in which the C.I.A. was complicitous, Che Guevara has once more captured public attention. His image has been reproduced over and over again by a strange combination of people and institutions ranging from Argentina's right-wing President, Carlos Menem, who issued a commemorative stamp through the Cuban government, to advertising agencies selling trendy goods to Yuppies which led a cartoonist for the left-wing Mexican daily La Jornada to draw the image of Che Guevara with a Nike logo on his beret. This resurrection has been accompanied and in part caused by the publication of a number of books widely reviewed in newspapers and political and intellectual journals. Mystified and mythified since he was executed, Che has become a source of political inspiration for many who have only a vague notion of his political activities and ideas. With that in mind, this essay aims to reconstruct a political portrait of Che Guevara, drawing on the invaluable materials provided by these three works. I will rely primarily on Castañeda's book, the most politically astute and perhaps most widely reviewed of the three, with occasional references to Anderson's and Taibo's biographies. Jorge G. Castañeda is a prominent Mexican writer with deep roots in his country's political Establishment (his recently deceased father was a one-time cabinet member). A former Communist of Althusserian persuasion, he has recently become well known for his advocacy of a social democratic political program for Latin America and a concomitant rejection of a revolutionary road for the region. This book, however, cannot be considered generally hostile to Che Guevara. As for the claim made by some reviewers that Castañeda accuses Fidel Castro of having abandoned Che Guevara to die in Bolivia, Castañeda is actually far more tentative. He suggests that as one hypothesis and, even while entertaining such a possibility, he explores in detail the powerful Soviet pressures curtailing Castro's freedom of action at the time. Castañeda's critical tone is primarily directed to the revolutionary in Che. Thus, in the Prologue he comments on Che's "eternal refusal of ambivalence," and the tendency of the 60s generation to which he belonged to engage in "a wholesale rejection of life's contradictions," and to exclude in themselves the "very principles of contradictory feelings, of conflicting desires, of mutually incompatible political goals," in an era that was "writ in black and white." (pp. xv-xvi) Given these underlying assumptions and tone, it would be very difficult for the general reader to make a distinction between the generally justifiable criticisms that Castañeda makes of guerrilla warfare as a general revolutionary strategy, and such specific applications of it as in the Congo and Bolivia, on the one hand, and Marxist revolutionary politics and strategy in general terms, on the other. The reader is thus left with the implication, at least by default, that reform rather than revolution is the only viable, sensible alternative. ERNESTO GUEVARA DE LA SERNA WAS BORN IN 1928 IN ARGENTINA, then not only the richest nation in Latin America but among the more affluent countries in the world. But his elite family was no stranger to financial difficulties due to Guevara senior's business failures. While no doubt assimilating the general political values of a left-wing household strongly affected by the Spanish Civil War, Guevara was not particularly political during his teenage years and early twenties. He was then more bohemian than leftist, a phenomenon most common at the time in the relatively affluent, European ambiance of Che's Argentina than in most other Latin American countries including Cuba. This early bohemianism was not entirely abandoned when Guevara became thoroughly politicized as he traveled through Latin America in the 50s. Significant traces of it remained that would color his subsequent political development. By the time he left Guatemala in 1954 in the aftermath of the overthrow of the constitutional government of Jacobo Arbenz orchestrated by U.S. imperialism, Guevara was thoroughly politicized, accepting a Stalinist view of the world. This was true in both the generic sense that he had become a staunch supporter of the political model represented by the USSR of a repressive one-party state owning and controlling the economy without any democratic popular controls, independent unions, workers' or civil liberties, as well as in the narrow literal sense of his great admiration for Joseph Stalin. Thus even before his Guatemalan experience, when Guevara traveled through Costa Rica and witnessed first-hand the awesome and terrible power of the United Fruit company, he wrote to his aunt Beatriz telling her that he had sworn "before a picture of our, old much lamented comrade Stalin that I will not rest until I see these capitalist octopuses annihilated." Another letter to the same aunt was signed with the words "Stalin II." (p.62 and Anderson, p.167) More important was the fact that when Guevara visited the USSR in his capacity as one of the most important leaders of the victorious Cuban revolution in November of 1960, he insisted on depositing a floral tribute at Stalin's tomb even against the advice of the Cuban ambassador to the USSR.(p. 181) It is important to remember that this was more than four years after Khrushchev's revelations of Stalin's crimes. Guevara's standards for what constituted a "sufficient quantity of consumer goods for the entire population" were plainly ascetic, consistent with his own exacting standards for himself and his family. This in turn was related to his puritanism whose effects could be checked and even reversed before the establishment of Cuba's one party state. Thus during the armed struggle against Batista, Che tried to regulate sexual relations among the men and women within his column, until he was forced to reconsider. Similarly, when his troops occupied the town of Sancti Spiritus in central Cuba in late 1958, he tried to ban alcohol and the lottery, but gave up in the face of the townspeople's resistance. (p.132) His was a Spartan view of the desirable collectivity, an egalitarian society led by the one-party state's dedicated and selfless revolutionaries with no place for democracy, individuality or material abundance which helps explain why the notion of moral incentives played such a key role in Guevara's social and political vision. Collective selflessness, sacrifice and dedication were his alternative to politically conscious, independent-minded, rational individuals who hammer out collective goals and programs through democratic discussion and voting; that is, majority rule with minority rights. Guevara's personal and political asceticism necessarily led him to indifference, even contempt for the material needs and preoccupations of ordinary people. When he sharply criticized what he saw as the bourgeoisification of the Soviet bloc in the post-Stalin period, he didn't consider the degree to which the political and economic changes implemented by Khrushchev and his East European equivalents improved the daily lives of people precisely because those regimes were compelled to pay significantly more attention to the production and distribution of consumer goods than did his hero Stalin. Paco Ignacio Taibo's biography reveals that Guevara was much influenced by Gandhi's ideas before he adopted the Stalinist version of Marxism. This is highly suggestive and calls our attention to the elective affinity between Guevara's early Gandhiism and bohemianism, contemptuous of the "bourgeois" comforts and advances of modern civilization, and the particular form of ascetic Stalinism that he would later endorse and contribute to in his own right. GUEVARA'S STALINISM WAS ALSO MARKED BY A STRONG VOLUNTARISM so that his politics overlapped with the Maoist variety of Stalinism. Classical Marxism contains a virtual state of tension between the role of objective and subjective factors in historical development as in the well-known formulation in The Eighteenth Brumaire of Louis Bonaparte that "men make their own history, but they do not make it just as they please; they do not make it under circumstances chosen by themselves, but under circumstances directly found, given and transmitted by the past." This objective-subjective tension in Marx was abandoned by later tendencies claiming to be Marxist. For example, German Social Democracy elaborated a mechanical objectivism which minimized the subjective active element in history. At the other extreme, Maoism and Guevaraism have been notorious for their even more extreme voluntarism completely ignoring objective reality. Thus Guevara's economic program for Cuba involved highly centralized planning eliminating all market mechanisms and again principally relying on moral incentives, with no thought of workers' control (as distinct from participation controlled from above). None of this took any account of the specific characteristics of a Cuban economy which, although relatively advanced in comparison to the rest of Latin America, was still very far from a fully developed industrial economy. The existence of a considerable degree of petty trade was, in the last analysis, not a matter of a voluntaristic choice of governmental policy. Instead, a certain degree of mercantile activity was a reflection of material reality, i.e., a backward development of the still non-collective, petty commodity means of production, and similarly of the means of distribution. Marx and Engels had assumed that the abolition of the market as a principal regulator of economic activity would take place in the context of an extended factory system where production was already conducted on a social rather than an individual basis. Guevara's strong voluntarism was also expressed in his emphasis on guerrilla warfare as the sole revolutionary strategy for Latin America. Interestingly, the early formulations of his guerrilla theory cautioned against attempting guerrilla warfare in Latin American countries with elected constitutional governments, no doubt in recognition of the Cuban experience where the guerrillas succeeded, in large measure, because they opposed an illegitimate government that had come to power through a military coup d'état carried out shortly before a general election that Batista was expected to lose. Che later dropped this qualification when he insisted that conditions were equally ripe for guerrilla warfare throughout Latin America. This was remarkably consistent with his inability to recognize specific political textures and historical conjunctures, evident early on in Cuba during the period of armed struggle against the Batista dictatorship. He could not understand, for example, and opposed Castro's very effective tactic of returning prisoners (minus their weapons) to the enemy,(p. 103) a tactic which made a great deal of sense when facing a mercenary and demoralized army with no social or political support in the population at large. Even more striking was Guevara's colossal political error proposing that the rebels rob banks to finance their operations. When that proposal was resisted by the urban leadership of the 26th of July Movement, Guevara took it as a sign of their social conservatism. (Castañeda, p. 129, Anderson, p.347) What he apparently did not realize (nor do any of his biographers) is that in the late 40s, not quite ten years earlier, Cuba had gone through a period of political gangsterism when many of the revolutionaries of another era had degenerated into plain gangsters, carrying out violent activities including bank robberies. Any involvement of the 50s revolutionaries in such activities would have brought back memories of that dark period and would have been extremely politically damaging, particularly since Fidel Castro himself had been associated with those groups in his student days thereby making it easy for the Batista-controlled press to argue that the revolutionaries were just bringing back the bad old days of political gangsterism. DURING THE 50S GUEVARA SHARED THE GENERAL WORLDVIEW OF THE TRADITIONAL, pro-Moscow Latin American Communist parties but he never became a party member. Guevara was not partial to the Popular Front strategy and the devious political maneuvering it entailed and given his independent personality, he was not the type to be reduced to a cog in a bureaucratic party apparatus. However, as we shall see, Guevara did grow very close to the old Cuban Communists (Popular Socialist Party) once it changed its political line and decided to support the guerrillas in the Sierra Maestra in 1957. This closeness to the old Cuban Communists (and indirectly to Moscow) lasted through the early fateful years of the Cuban Revolution. With this speech, Guevara not only burned his bridges with the USSR, but also called into question his leadership role in Cuba. It was now inevitable that Che would resign from the Cuban government and would dedicate himself to fomenting guerrilla warfare abroad, albeit with Fidel's material support. His future political course would further distance him from the USSR and the pro-Moscow Communist parties in Latin America. While Guevara's critique represented a sharp break with the USSR and its supporting parties, there is absolutely nothing here that suggests a break with his ideologically well-entrenched Stalinism. Nothing in Che's writings, actions or speeches suggests that he ever questioned or criticized the one-party state and the complete absence of democracy in any Communist country; nor can one find anything reflective of regret or self-doubt about his own role in stamping out even early residual forms of democracy within the Cuban revolutionary process. In light of this, it is perverse to argue that one should applaud Guevara's more vigorous and militant politics, when his efforts were directed to the establishment of a system completely opposed to democracy and consequently to popular rule. Che's connection with Ribalta was an early instance of what would soon become a pro-PSP and pro-Soviet camp within the 26th of July Movement. This wing was led by Che Guevara and Fidel Castro's younger brother Raul, a former member of the PSP's youth wing in the 50s. Beginning in 1957, this pro-Communist wing would repeatedly clash with other political tendencies within the 26th of July Movement and with other revolutionary groups. Paco Ignacio Taibo's book is the only one that faithfully and accurately conveys the nature of the contending forces within the revolutionary camp. Influenced by his own political past, Castañeda fails to take proper note of the role played by non-Communist revolutionaries. Anderson's treatment is nothing short of disgraceful. He depicts all revolutionaries unsympathetic to the Communists as right-wingers, leading to the absurdity of describing radio commentator Jose Pardo Llada as a rightist at the time he accompanied Che on a world tour in the summer of 1959. (Anderson, p.426) Pardo Llada was then an unconditional supporter of the Castro government and had been a left-wing, Peronista-type nationalist for a long time. Fidel Castro himself played an ambiguous role in this struggle of tendencies until he ended these debates when he, along with Che and Raul, fatefully supported the old Communists at the critically important trade union congress in the fall of 1959. That Congress signified the beginning of the end of trade union freedom and independence in Cuba. The Castro brothers and Guevara gave the old Communists the power and influence they had failed to win at the ballot box earlier that year. The exact role played by Castro before the fall of 1959 remains unclear to this day. For example, it has recently been revealed that the first organizational steps to establish the Cuban state security organs were taken just two weeks after the revolutionary victory on January 1, 1959. These initial efforts were carried out during the early months of 1959 with the participation of Raul Castro, Che Guevara, the head of the PSP's Party Military Committee and a number of Spanish Communist agents of the Soviet KGB. Fidel Castro, however, does not appear to have been present at any of these early intelligence gatherings. Was this a deliberate tactical move to insure his plausible deniability while he fully supported what was going on? Or was Fidel refraining from direct participation in order to retain his freedom of action vis-à-vis both the Americans and the Russians? Is it conceivable that this early collaboration with the KGB was carried out behind his back? Since, for several years, Che was a prominent member of a group holding state power, he shares responsibility for the repressive record of that regime, particularly when he was allied with those who energetically pressed the Cuban revolutionary government to adopt the Soviet model. Guevara was personally responsible for supervising many of these repressive activities. He was the head of La Cabaña military fortress where several hundred executions were carried out in the early months of 1959. While Castañeda is correct in pointing out that innocent people were not executed there in any large or significant numbers, (pp.143-144) it cannot be ruled out that there were innocent people whose execution could have been avoided had Che been a revolutionary with different politics. It is also possible that some Batistianos may have suffered punishments quite disproportionate to the offenses with which they were properly charged. This is an area which requires additional investigation, particularly in the light of recurring charges by those who claim to have witnessed Guevara's cruelty at La Cabaña. Clearly, Che Guevara played a key role in inaugurating a tradition of arbitrary administrative, non-judicial detentions, later used in the UMAP camps for the confinement of dissidents and social "deviants": homosexuals, Jehovahs Witnesses, practitioners of secret Afro-Cuban religions such as Abakua, and non-political rebels. In the 80s and 90s this non-judicial, forced confinement was also applied to AIDS victims. 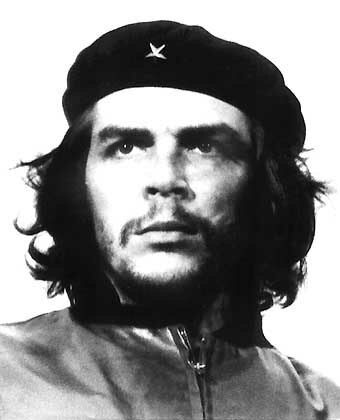 FOR MANY, CHE GUEVARA IS AN APPEALING FIGURE. Some know full well what Guevaraism implies and are attracted to it for that very reason, as has been the case with diverse groups and individuals historically attracted to various forms of Stalinist politics. I am, however, much more concerned with those, particularly among the young, who realize that capitalist society is manifestly exploitive and unjust and want to do something to change it. Very few of them know much about Che Guevara's ideology and less about his history. Their illusions are reinforced by U.S. foreign policy and its criminal blockade against Cuba. There are attractive aspects of Che Guevara. He was a man who gave up the perquisites of political power to engage in guerrilla warfare campaigns whose success was far from assured or even likely. In those highly inhospitable surroundings, his behavior was indeed courageous if not heroic. His personal integrity was unquestionable, especially as compared to Fidel Castro. Moreover, Che was a principled egalitarian who would even take his wife to task for using his official car for personal errands. (Castañeda pp. 235-236) But he was also arrogant and frequently humiliated those who were his intellectual inferiors. (p.120, Anderson, p.567) As I suggested earlier, his "bohemian" disdain for ordinary material comforts made him insensitive to the material concerns of ordinary people. In the last analysis, however, the political question remains: was Che Guevara a friend or foe of emancipatory, liberatory politics? The historical record is clear; Guevaraism is incompatible with the struggle to build an egalitarian and democratic society, a society in which working people decide their own fate without reliance on "well-intentioned saviors." Я когда была с катализатором проблема вот сюда fili-tek.ru обращался. Контора чисто на ремонте выхлопных систем специализирующаяся, из плюсов - в этом они шарят знатно, из минусов - мало с чем иным помочь могут.